Cristina wrote this to me after our coaching session this week. I felt compelled to share it and I wrote to ask if this would be OK by her. In her reply she said: “Go for it! I am happy to fully play out. By the way, the way I wrote to you is what Rich has been modelling for us. We are not allow to write on our Facebook group without sharing our real insights. I see how it has changed the way I feedback my own insights. Much love! Cristina” What a woman she is; colourful, beautiful, vibrant, energetic, creative and bold. She is loving and funny and I am always telling her how much I love her life. 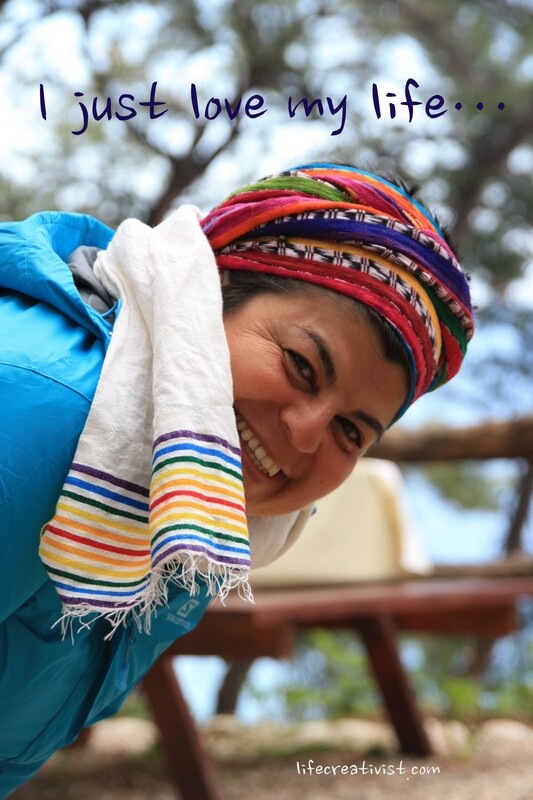 Cristina is from Chile but she lives in Rumania (and Bulgaria and France) and in the few short months I have known her she’s been to LA, the UK and Istanbul and she’s walked the Lycian Way. Follow her colourful and creative life and see the beautiful images she creates at LifeCreativist.com and, while you are there, why not book a Powerful Conversation with Cristina?